If you are a B2B business, looking to target B2B buyers for your product or service, LinkedIn in the place for you, where you have a couple really good options to consider. Let’s use a case study, assuming you are selling technology that serves event marketers and you are trying to target heads of event marketing as prospective buyers. The first option is to target your media buy around LinkedIn users that are members of targeted user groups therein. 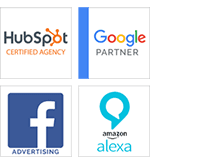 In this example, look at all the groups that serve prospective end-buyers in the event marketing space, and target your ads only to those users. As an example, the 20,000 members of the “Event Marketing Pros” group is probably a pretty good place to start. A second option is to target your media buy around LinkedIn users that have the right business title and work at the right size company you are targeting. In this example, anybody with the title “Event Planner” or “Head of Event Marketing” in their user profile page and work for “Companies in Excess of 1,000 Employees” (if trying to get to Fortune 500 accounts), would be really great to target your ads. If you are a B2C business, looking to target B2C consumers for your product or service, Facebook is the place for you, where you have some really good options to consider. Let’s use a case study, assuming you are selling a new line of line of upscale men’s fashion. It has never been easier to steal potential customers from established brands in your space. Imagine that you can now target yours ads to the Facebook fans of Giorgio Armani, Ralph Lauren or Tommy Hilfiger, or the male fans of logical retailers like Nordstrom or Saks Fifth Avenue. These people are obviously interested in men’s fashion, and with the right messaging might be interested in learning about new men’s fashion brands. The same holds true for targeting followers of major media outlets in your space. Facebook fans of GQ, in this example, would be pretty ripe fishing grounds for your product. And, it would be a lot cheaper trying to access those users via Facebook’s pay per click model, than paying GQ thousands of dollars for CPM based display ads in their magazine or website. To learn about targeted marketing for Twitter, check out the rest of the article on Forbes.com. Want to learn more about targeted marketing? Download our Inbound Marketing presentation for more!